What better way is there to celebrate having Fair Trade Kosher for Passover chocolate this year than making chocolate charoset? 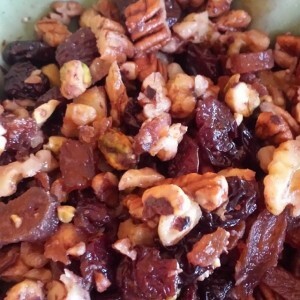 Thanks to Oakland vegan chef, caterer, and cookbook author, Philip Gelb, for creating this recipe just for FTJ to share with you! It’s really delicious and unique. At the bottom of the recipe page, you’ll find a special Chocolate Charoset reading for your seder. 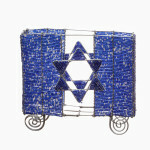 We have two beautifully handcrafted Matzah Holders, a wire and beaded style from South Africa and a handwoven fabric one from Guatemala. 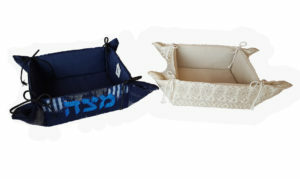 Both will add beauty and elegance to your Seder table. 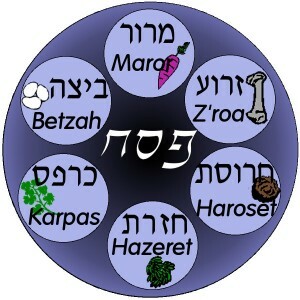 Order by Monday, March 26 at noon Pacific time so they arrive before the first Seder. Celebrate Fair Trade Shabbat (Parshat Behar-Bechokotai) this year on Friday/Saturday May 11-12. Thousands of people around the world will be celebrating World Fair Trade Day, and Fair Trade Judaica has put together a unique program for synagogues and other groups to observe this day Jewishly. We have recipes, text study, special prayers, and more available for free. Copyright © 2007-2018 Fair Trade Judaica, all rights reserved.